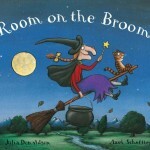 Room in the Broom is one of my daughter’s favourite Julia Donaldson / Axel Scheffler stories. As well as witch, cat, dog, frog and bird crafts there are many other learning activities that can be inspired by the book. We had a great time crafting, experimenting, painting and baking to prepare this post. The Story: A witch is flying on her broomstick with her cat when the wind blows her hat off. They can’t find the hat when they land but a dog finds it and asks if he can fly with them. The witch loses other items which are found by a bird and a frog who also become passengers. Unfortunately the broom snaps, the witch flies on and the animals fall into a bog. The witch is captured by a dragon who is just about to eat her when he is scared by a mysterious beast rising from a ditch. The dragon leaves and the beast is revealed to be a combination of the muddy animals who all throw something into the witch’s cauldron. She casts a spell which produces a broom that caters for all their needs! My daughter loves recreating the witch’s ‘truly magnificent broom’ and it has inspired a lot of dressing up and imaginative play. Along with the dog, the frog, the bird and the cat we have flown all over the world and the wand and the cauldron have inspired us to create some wonderful rhyming spells. If you are planning to re-enact the story Making Learning Fun’s website has Room on the Broom headbands you can print out and colour. It’s also fun for children to plan their own version of the broom on paper before building it using ‘junk’ – cardboard boxes, toilet rolls, plastic trays, egg cartons etc. or Lego. 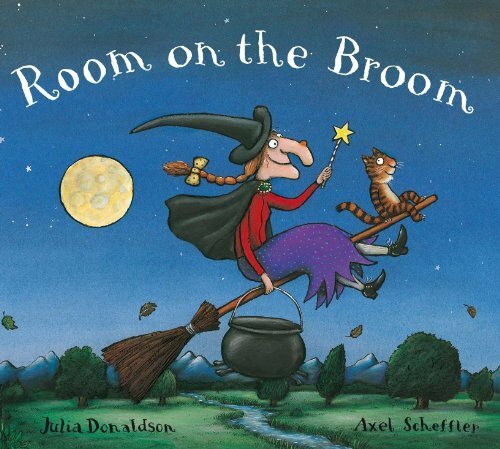 Room on the Broom has a wonderfully rhythmic, rhyming text which provides lots of opportunities for working on rhymes with children. With support even the littlest children can find rhymes for some of the words in the story, e.g. witch, cat, frog, bow. I put children in small groups (with adult support if necessary) give them the same word list and challenge them to find as many words that rhyme with those on the list. They love to race against the clock (five minutes is enough!) and it is interesting to watch their brows furrowed in concentration as they work. The Room on the Broom is also a great story to use for sequencing, there are sequencing cards on Twinkl’s website. 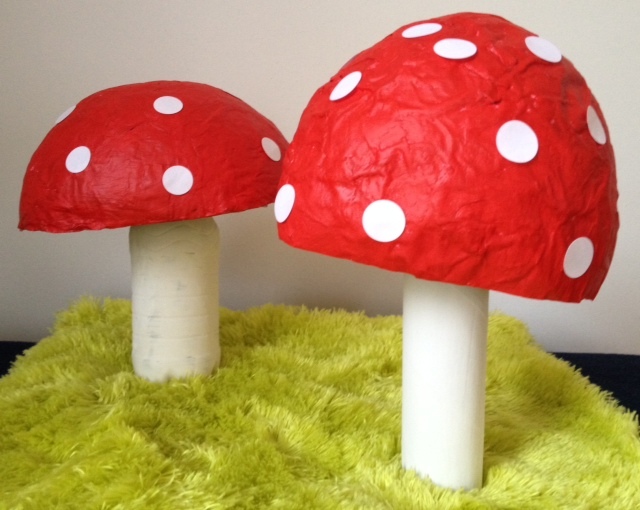 Although not mentioned in the text toadstools feature throughout the book and making papiermache toadstools is a fun craft activity. We covered a balloon and a bowls with newspaper using wallpaper paste (you can also make glue with flour and water which is better in school as it’s not so sticky and you don’t have to worry about children putting fingers in their mouths). We painted kitchen roll holders and small bottles as the stalks and used stickers for the spots. I’ve also made maths worksheets using toadstools, children can count, add, subtract or multiply spots. The witch’s flight over mountains, fields, forests and rivers can stimulate great map making discussions and activities. Younger children can contribute to a classroom wall display including the different landscapes. For older children it is a great book to introduce the concept of aerial views. Matching photos of an object taken from different angles can be followed by children drawing objects from above. Finally they can draw their own Room on the Broom map following the witch’s journey. A class papiermache landscape project showing the different terrains is also a fun craft activity. Learning to plait is another activity inspired by the story. 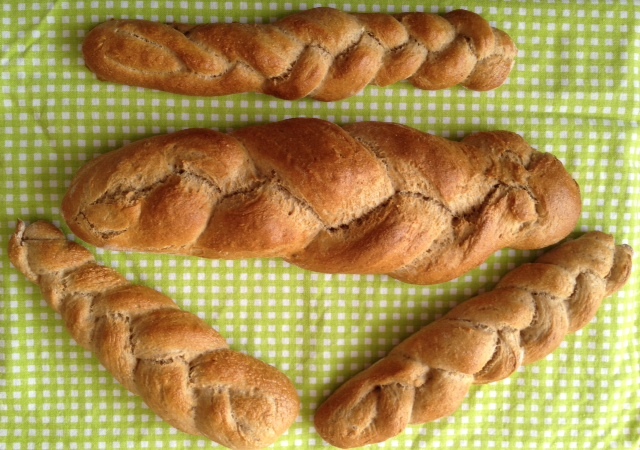 We’ve plaited bracelets using three different coloured strands of wool but a really fun way to practise plaiting is by making bread rolls. After your bread dough has risen divide sausage shaped lumps of dough into three, plait them and leave them to rise again before baking. 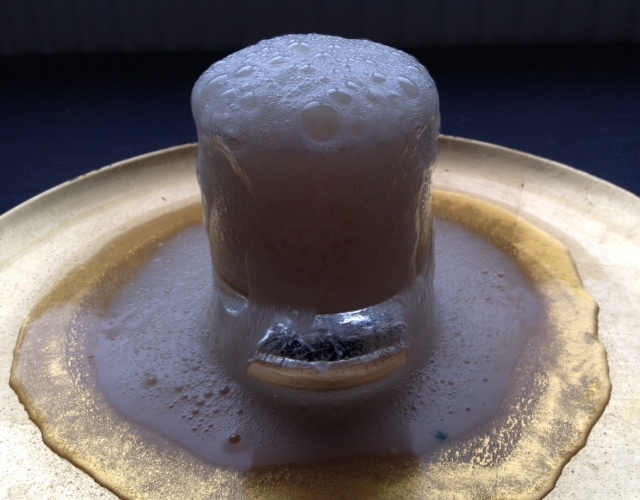 Making potions is fun and one of my favourites involves making volcanoes to observe the reaction between white vinegar and baking powder. Spoon baking powder into a glass, stand it on a tray then add vinegar and watch what happens. Children can really experiment with this activity, if you hide food colouring under the baking powder the child can guess what colour the potion will be or the child can mix two colours together, e.g yellow and blue, and see what colour is produced when they add the vinegar. Liquid food colouring or paint can be added to the vinegar or water can be mixed with the vinegar to see what effect it has. For a murky coloured potion use brown vinegar. 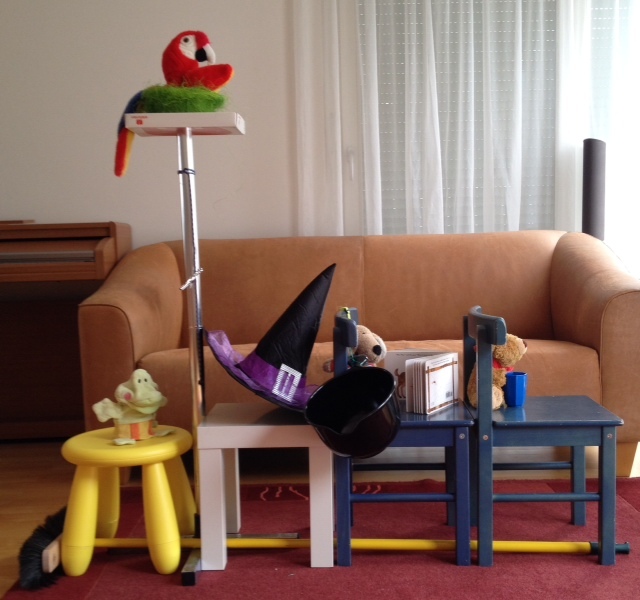 You can have lots of fun with witch’s hats. Use several hats to play Hoopla. Younger children can count the number of rings that they can throw onto the hats or you can tape a letter onto each hat for the child to identify (if you have enough hats the children can use them to order the alphabet). For older children numbers can be taped onto the hats so they can ‘score’ by adding them up, order the numbers according to size or multiply them. 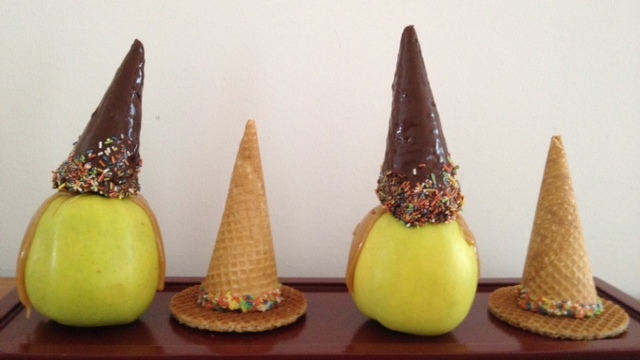 If you are planning to end your Room on the Broom week with a party how about making edible hats? We ‘glued’ ice cream cones onto plain biscuits with icing sugar and decorated the brim with sprinkles. For the witch’s heads we covered the cone with melted chocolate, added some sprinkles and stuck them onto apples using melted toffees for the witch’s hair. You can find more ideas and printable resources on Room on the Broom’s website. I love it when children get inspired by a book, building the broom was completely my daughter’s idea, it wasn’t in my plan at all! You’re welcome Deborah, it’s amazing how many ideas a favourite book can inspire and we wanted to try different activities which is why we didn’t include the witch or the animals.